Which processor is better in 2017? Intel's Core i7 vs AMD’s Ryzen? Which is the best gaming processor and which CPU should you buy right now? AMD's Ryzen is an impressive entry into the processor market. But is it the CPU to buy? AMD has been very excited about its new Ryzen processor which we were told offers 8 cores, superior performance and all at a superior price to Intel. We were hoping these claims were true as the lack of competition in this space has seen technology jumps and evolution stagnate over the past few years. For most people Intel is currently better than AMD. 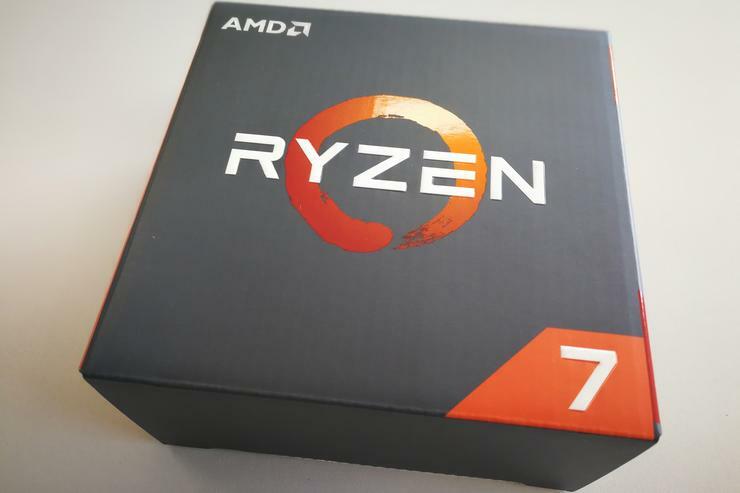 The general performance of a 3.6GHz AMD Ryzen 1800X CPU compared to a 7th Generation 4.2GHz Intel Kaby Lake Core i 7 7700K CPU is slightly weaker, and yet the AMD processor costs hundreds of dollars more than the Intel equivalent. However, there some potentially-big exceptions. The extra processor cores offered by Ryzen compared to Kaby Lake (eight instead of four) mean that certain tasks will run MUCH faster than the Intel chip. If you do a lot of 3D rendering, video encoding or your favourite games run better on multiple cores (few do, but some popular titles like Battlefield 1 and Civ are included in the short-but-growing list) then the extra money is well worth paying. The extra cores can also help with video game streaming on services like Twitch. To put this into more perspective, an expensive, eight-core Intel Core i7 6900K CPU is similar in speed to an AMD Ryzen 1800X CPU but the AMD processor costs less than half as much! That’s revolutionary and disruptive… to some people. We didn't miss pins on the bottom of a processor until we started bending pins on the socket of a motherboard. The latter is much worse. 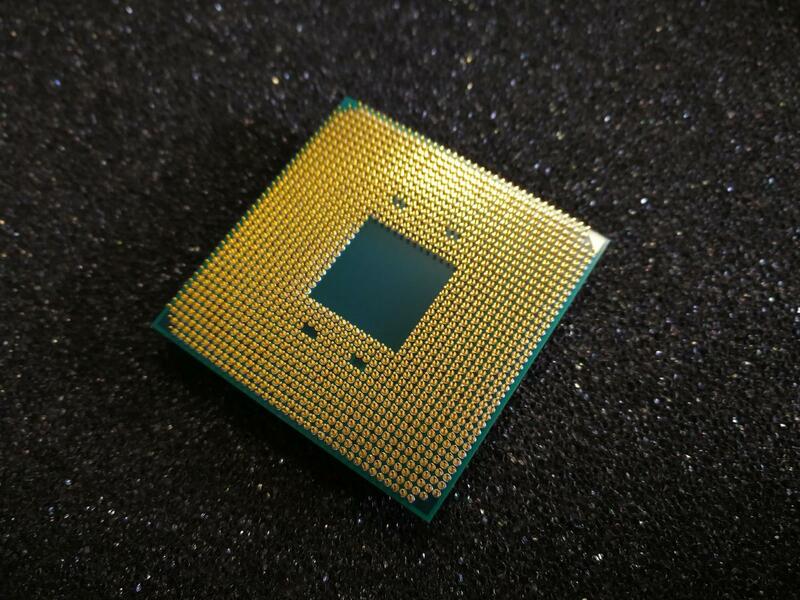 Which CPU price is best: Intel or AMD? Intel’s flagship Core i7 7700K processor can be had for around $500 with a decent Z270 motherboard costing around $200. That’s a total of $700. Meanwhile an AMD Ryzen 1800X CPU costs $699 while a decent AM4 AX370 motherboard costs around $300. That’s a $1,000. Even with deals and judicious buying, a comparable AMD system will cost hundreds of dollars more. So which is faster? For the Intel tests we used our regular Test Rig components and an Intel Core i7 7700K CPU. The AMD AM4 Test Rig used the same Samsung 960 Pro NvME hard drive, Nvidia 1070 graphics card but with a Gigabyte Aorus GA-AX370-Gaming 5 motherboard (BIOS rev: 5b) plus Corsair Vengeance 3000MHz LPX DDR4 RAM. We then ran the same tests with a system’s automatic overclocking features. We don’t tweak settings like enthusiastic overclockers as few people can be bothered with that. However, if motherboard settings or an app made it easy to stably boost performance, we were happy to use that. With Intel’s processors we used the Gigabyte Z170X Designare motherboard’s built-in automatic overclocking settings to easily increase the clock speeds. This feature isn’t (yet?) available on Gigabyte's AX370 mobo but overclocking is simply executed using the RyzenMaster Windows app – you just slide the sliders to the speed you want. Why AMD Ryzen requires Windows Power Settings to be set to High Performance? We usually leave our test rig at default settings with Balanced Performance but AMD insists that it requires Windows to be set to High Performance in order to get the best from Ryzen because of the platform’s innovative heat-influenced performance features which can be detrimentally affected by Windows core parking and power management. Indeed, switching from Balanced to High Performance raised Ryzen’s PC Mark score from 4171 to 4317 (this compares a Core i7 7700K's Balanced Performance score of 4411). Which processor is faster: Intel or AMD? Generally speaking, Intel’s 7th Generation Kaby Lake processors are faster than AMD’s Ryzen processors but there are exceptions. In general usage Intel wins but when an application or game that takes full advantage of all the available cores is used, Ryzen can be much faster. Our AMD Ryzen test rig arrived with some unusual tweaks (AMD is adamant it shouldn’t have but it did) and when we reset the (rev. 3f) BIOS (and set up the RAM with XMP timings) it scored 3,944 in PC Mark. Gigabyte provided us with the latest rev. 5b version and the score increased to 4,010. That’s still behind the Kaby Lake 7700K’s 4,448 and also behind Intel’s older 6th generation 4GHz Skylake Core i7 6600K score of 4,040. When overclocked the Ryzen score only increased to 4,147 but the Intel 6700K pushed on to 4,355 and the 7700K pushed on to 4,477. The AMD Ryzen 1800X CPU scored behind Intel's 7th and 6th generation Core i7 CPUs in PC Mark at stock and when overclocked. So in the general usage PC Mark test, Intel wins – which will be enough for most people. We also ran the Creative 3.0 PC Mark test which focuses more on photo manipulation and video editing. In this case Intel scored 5,853 while Ryzen scored 5,861. That’s a slight win for Ryzen which, as we see below, will translate to potentially-dramatic time saving if you do extensive media encoding.